What do I mean by a different Johor? It means a state no more a ‘fixed deposit’ for UNMO and Barisan Nasional. 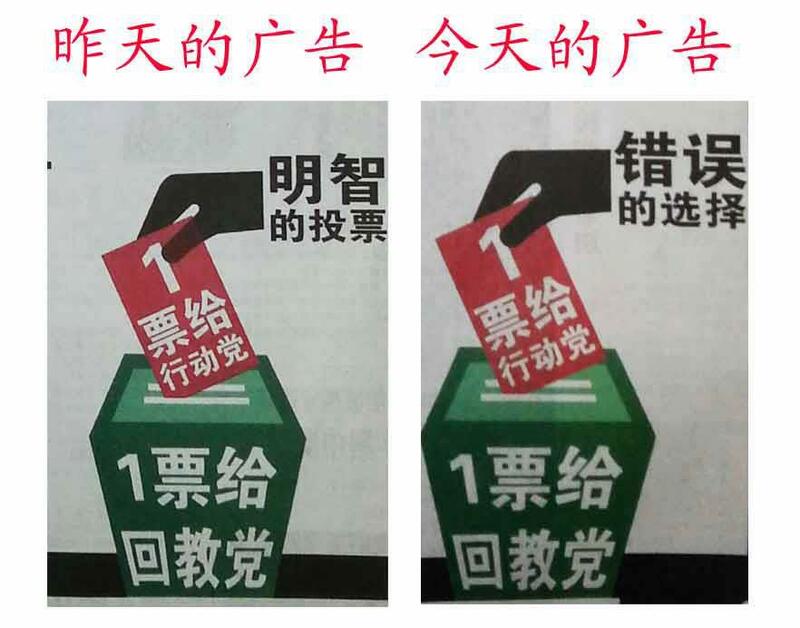 Voters (especially Chinese voters) in Johor will follow the mainstream voters in Malaysia in rejecting BN on 5 May 2013 and become less ‘influenced’ from Singapore. Malaysian Nanyang reported yesterday BN may lose 10 federal and 16 state seats to PR in the coming election in Johor state. If this is true, this will be the first time, BN is losing so much ‘fixed deposits’ to the oppositions in Johor. BN only lost 1 federal seat in 2008. Because of this development, Malaysian Deputy Prime Minister Tan Sri Muhyiddin Yassin brought out the case of Singapore to caution and warn Johor voters. In today’s Sin Chew, the DPM said Singaporeans were worried about a win of DAP Lim Kit Siang in Gelang Patah parliament constituency and the aftermath of the slow development in Iskandar. Perhaps, he is referring to the People’s Action Party not the ordinary people of Singapore. The PAP, likes UNMO, has been the dominant party in Singapore for more than 50 years. A fall of BN government means the PAP may follow the same route years later. Alternative parties in Singapore would like to see a Pakatan Rakyat (PR) win in Malaysia GE 2013. There are many things Singapore oppositions can learn from PR including the election strategies and recruitment of high quality candidates. Singapore has more influences in Johor? Many Chinese Johoreans are working in Singapore. Their children are educating in Singapore schools and most importantly, they listen and watch Mediacorp programs (TV8, channelU, 958 etc.). 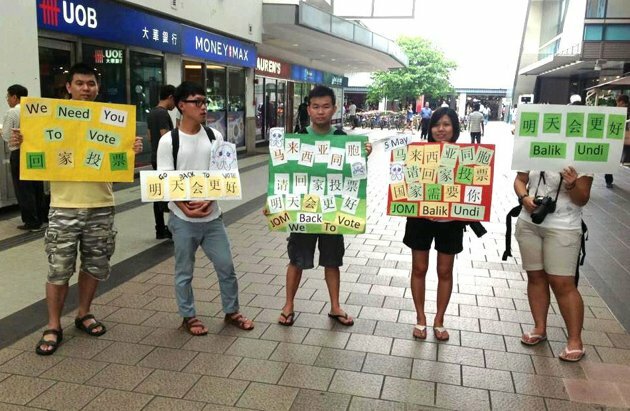 When Kuala Lumpur or Penang experienced reformasi movements or even Bersih clean election movements, Chinese Johoreans were less concerns about these. They act and behave differently from other northern Malaysians. Not only the Chinese are different, the Malays in Johor are also different. ‘The Johor Way’ looks more like a BN way and an UNMO way of deposit. In some ways, it is also similar to the PAP’s ‘The Singapore Way’. Group Representative Constituencies are the PAP’s way of election deposits. However, we have seen the breakthrough in Aljunied. So, the Johor voters saw this in 2011 and later they also saw the 2 by-elections defeats of the PAP. As a result, they begin to ask why? The PAP is such a strong and capable political party in the world and yet it still can lose ‘election fixed deposit’, then how about Johor state? How about Malaysia as a whole? BN government in many ways is less efficient, less effective and less transparent than the PAP. Even that the PAP begins to lose deposit as Singapore voters look for change! So, Chinese Johorean voters saw the political change in Singapore. And now, they are given the opportunity to join the ‘change’ movement due to the strong presence of PR, especially the DAP. A breakthrough in Johor is important to PR. This is their strategy to gain more seats in Johor, Sabah and Sarawak so that they can have enough parliament seats to form the federal government. A change of government is in the making in Malaysia. We welcome the change as we believe a stronger Malaysia is good for Singapore and Singapore oppositions. Look like the luck is at PR side. Malaysian PM’s intended visit to Chinese-funded Southern University College was to get closer to the Chinese community. However, a supposed good publicity has turned into a nightmare to BN. DAP Lim Kit Siang is quick to ask voters to think twice about voting BN. He said if a PM cannot control his own men, how can he run the country? Should we charge PAP infrastructure costs prior and during election? Losing money building and selling HDB flats – is this another frog thinking of the PAP? Based on the pricing of HDB flats, National Development Minister Khaw Boon Wan seems to suggest YES. We must charge the PAP for the use of public infrastructure. Besides considering the value of lands, he suggests we have to consider the infrastructure costs, like roads and MRT in pricing HDB flats. Now compare this to every election in the past and the one in 2016. What are the infrastructure costs for the PAP before and during the election? Of course, these come from the use of public institutions, main stream media, the so-called public funded grassroots organisations, the friendly unions and not to forget the election department. Some may argue unions and MSM are not private-owned infrastructure and so they should be excluded. You judge for yourself whether you accept this argument. Accordingly to Mr Khaw, you need to consider these basic costs as there are no free lunches in this world. But how come, we cannot charge the PAP for incurring these costs out of the pocket of tax payers. So, the PAP is only the trustee of tax payers. Buying a piece of land for HDB flats costs public money. Establishing and making use of the public institutions, grassroots organisations are also using public money. Why is the PAP not considering this a cost? Why only the PAP can have free ride on using these facilities and infrastructures? Has the trustee of tax payers and public money fairly discharge its duty? There is no infrastructure cost when it is for the PAP, for example the use of community centres, schools, even libraries. On the other hand, however, infrastructure cost is charged to flat buyers. Buyers must pay for the land and infrastructure costs. So, Mr Khaw talks about infrastructure cost. Do foreign investors pay infrastructure cost? Why are we spending so much money in Suzhou Industrial Park to develop the infrastructure? Can we charge the investors? We want investors to make contributions to our country. We invest and improve the infrastructure in advance. Otherwise, investors will not come. Public housing is an investment on the people. But HDB flat buyers are treated differently. They have to pay the market value for the lands and the infrastructure costs. So, the government is not treating the selling of flats as an investment on its citizens! What is the political infrastructure cost for the PAP? Oh, you may consider SG Conversation and all related publicities as one. You can also consider Population White Paper as another one. They use the public infrastructure without paying the infrastructure cost. They are campaigning in advance for GE2016 without paying infrastructure cost as compared to HDB flat buyers. Of course, these costs are not included in the election declaration of expenses for the PAP candidates. No wonder, the PAP is enjoying huge economic profits as I argued in my previous postings. The PAP’s mind-set is these are not costs to them. Anywhere, tax payers have to settle the bills of infrastructure development. This is why there is a double standard here. HDB is not making money in fact losing money for every flat sold because it needs to pay for the land and infrastructure. Any costs incurred will add on the selling price of a flat. However, the PAP is not paying the use of public institutions before and during election. How can we ask them to pay the infrastructure costs? Perhaps, the only way is to vote them out. Back to the frog and butterfly story, the PAP thinks of themselves as butterflies and treats the citizens as frogs. 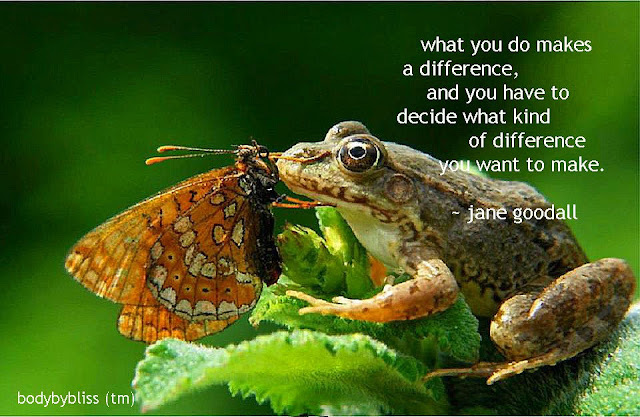 Once we look at the infrastructure costs, we begin to realise who is the frog and who is the butterfly. 【我想新加坡现在更好，更多人参与。更多人为新加坡着想，发表他们的意见。】I think Singapore is better off because people are much more engaged now. Many more people are thinking about Singapore, expressing their views. 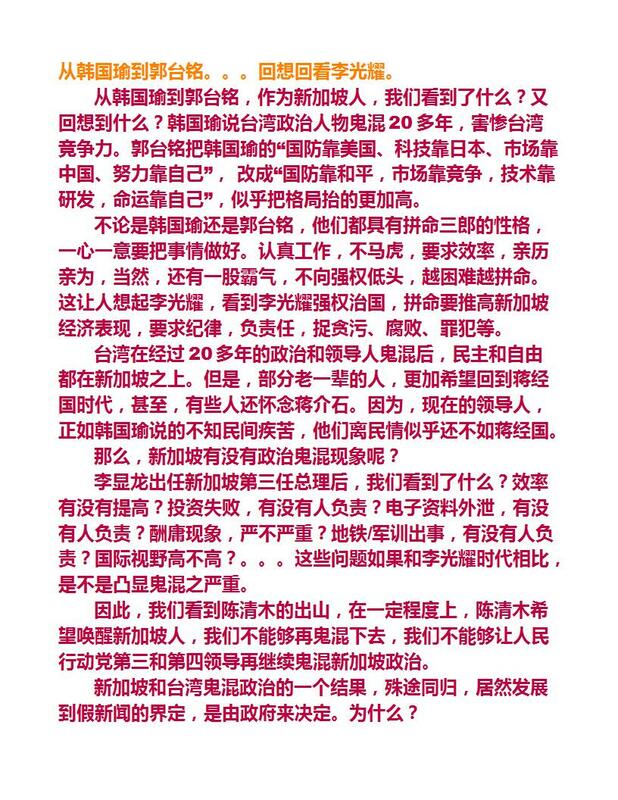 【社交媒体可以尖锐的批评政府，或许，都是如此。社交媒体是一个有用的制衡。但是，人们对网上的言论也应该多加存疑。】The social media can be critical of government and probably always will be. It's a useful check. But people have to be a lot more sceptical about what's put out there as well. 【是的。我认为（现在这一批年轻部长中有未来的总理人选）。但是，我不告诉你他是谁。】 Yes, I do but I can't tell you who I think it is. Sustainable Economic Profits for A Dynamic People’s Action Party? Singapore Inc., as it is called internationally, is how Singapore as a country is run by People’s Action Party (PAP). Business excellence and strategic tools are frequently used in public administration and companies to achieve Singapore Quality Class and Award. Strategist’s toolkit is suitable and relevant to analyze the PAP performance. A ‘new normal’ political climate has arrived and more competitions are expected. The development will reduce the PAP’s economic profits in the coming elections. Economic profits mean the PAP is getting more parliament seats in proportion to the votes obtained in the election. The PAP is a dominant political party and since 1959, it has been in power and faces little challenges except in the early years. It usually controls more than 90% of the parliament seats and so this is called a ‘one-party’ state. Things have begun to change and in the election in 2016, the PAP may lose its two-third majority in parliament. Or in the worst case scenario though a remote chance, the party may lose the government in a freak election. Economic profits are derived mainly from monopoly power, design capability and innovation dynamics. When facing past political challenges, the PAP is always able to tackle the situations, solve the problems and come out with relevant solutions. Monopoly, by preventing entry or creating obstacles, is the key success factor contributing to PAP’s economic profits. External and internal environment do not paint a good picture for the PAP. Governments changes outside Singapore whether peacefully or violently are common and even take places in nearby countries. The environment analysis indicates more dissatisfaction, more demands, and new technology challenges. Young and educated voters are pro-oppositions. The social media and internet provide alternative communication channel to them. The PAP controlled mass media has lost its effectiveness and reach. There are unsolved economic problems like high cost of living, medical care and rich-poor gap etc. SWOT Analysis stresses the need to emphasize reputation and switching cost, strengthen supports and face more and stronger oppositions. The PAP has good reputation locally and internationally. However, grass roots support has weakened and the party is out of touch with people. It can continue to capitalize on switching cost as voters are still afraid of a change of government. But the challenges from oppositions are getting stronger and stronger with improved image and good quality candidates. This is the message of Five Forces Analysis. The PAP finds it hard to prevent oppositions from contesting the election. The high sunk cost, competitive advantage and retaliation are no more effective strategies. More open competition is expected and the ‘threat of entry’ is gone. Many young voters express their willingness to change, however the switching cost is high, especially for the older voters. If Singaporeans change their government, an ‘inexperience’ party will take over. This switching cost consideration can add value to the PAP. This works against the PAP. The voters are more demanding than before. There are common national issues that voters can come together to voice their concerns. There are also more good quality opposition candidates. The past ‘divide and conquer’ tactics are not effective any more. The PAP has used up almost all the possible supports in the past 50 years. Although suppliers follow instructions, their willingness and commitments are passive. Supporting organizations also complain about the inaction to their feedbacks. Since the PAP cannot stop the entry, more and more opposition candidates are now standing for election. At the same time, the PAP finds it hard to find good quality candidates due to potential losses in election. The capability analysis shows that the PAP has alignment and sustainability issues. In the capability value chain, there is little value created by real Design and Innovation. Supply: The PAP has good supply bases from various private and public bodies. For example, government funded People’s Association, trade union, election department, chambers of commerce, business associations, racial and cultural groups, and even some NGOs etc. Manufacture: Potential candidates will invite to tea party and assign to grass roots for training, internal selection, background checks, promotion, etc. Distribution: Detailed study of electoral districts based on population and feedback including re-drawing of constituency boundary; election budget and deployment of candidates etc. Buyer: Voters have little time to know alternative polices and opposition candidates due to short campaign period. The main stream media on the other hand provides publicity and coverage to PAP candidates. No Dynamic PAP, No Competitive Life Cycle and the environment is good for a monopoly. There is hardly any Competitive Life Cycle in Singapore. There is no shakeout or disruption in the parliament election. As a result, the PAP only needs to focus on management of changes (preventing entry, high cost for political participation, game rules to its advantages, press freedom and detention without trial). The three phases of Emergent (Annealing) – Growth (shakeout) – Mature (disruption) have not happened. The “election’ market remains a single brand industry without strong alternative and competitor. Shakeout and disruption only happen to the opposition parties. - Mature phase is long and dynamic change is incremental (controllable and manageable). - Emergent phase is short and a dominant brand (PAP) becomes the monopoly in the market. - Growth phase is short too and with just one general election in 1959, a situation of ‘winner takes all’ occurs. Hence, the overall development for this unique political market is once the market leader is established, the ‘first mover advantage’ quickly moves in and the PAP becomes the monopoly. After they have consolidated their political positions, the market dynamism disappears leading to a slow evolving environment. The PAP can hold the position for a long period and even prolong the evolving process through monopoly-led and managed design and innovation. In order to enjoy economic profits, the PAP has to continue its integrated strategies. The party has to position itself as a low-cost leader and be different from others. It will continue to contest all the parliament seats and most likely it is the only party to do so in 2016. The opposition parties instead will concentrate on the low-cost focused market and niche (focus differentiation) segment. The dilemma of “stuck in the middle” for the PAP is real as they need to defend all constituencies. In 2011 the main opposition party, The Workers’ Party (WP), made a breakthrough in one of the group constituencies, the first time since 1980s. PAP is the only big circle contesting all the seats, with high average percentage votes and credibility. They are adopting integrated strategies and want to maintain low-cost leader and differentiation competitive position. WP is the only mid-size circle contesting less than half of the seats, coming closer and matching the PAP in average percentage votes and credibility. But their competitive position will be different from the PAP. They will look for niche market and low-cost focused segment. Other opposition parties will form different small circles with weaker positions in average percentage votes and credibility. Some may contest as many seats as WP and so more multi-corner competitions are expected. Open competition will reduce the economic profits. More than 90% parliament seats to the PAP are not sustainable. The PAP will fight to have two-third majority or even more, even though their averaged percentage votes obtained may fall below 60%. The PAP will go for low-cost leader and differentiation by contesting all the seats. It is still an outstanding brand with unique characters. Not to mention, it is the only party capable to send candidates to all constituencies. Voters do want changes but have to face the consequences. The passing of an experienced government is an opportunity cost. A proper marketing and emphasis of switching cost will have handsome returns to the PAP. Electoral boundary and rule changes to benefit incumbent; court and defamation lawsuits; and even media control etc. are not real design and innovation. The value chain needs new real design and innovation to create value and maintain economic profits. Learning from other democracies, even neighboring Malaysia, will help to improve this weak link. Singapore is a strange market as there is no Competitive Life Cycle. There is no shakeout or disruption in the ‘election’ industry. The PAP will have to face new ‘normal’ and open politics. This new challenge will change the culture, core value, missions and actions of the party (unchanged since 2003). With the success of WP strategies of focused low-cost and niche market, other opposition parties will follow. Some possibilities of ‘wildcat’ breakthroughs will happen by other parties with their very outstanding candidates. The PAP must psychologically prepare to lose more seats. No freak election is expected in 2016. However, to have 90% parliament seats is equally a remote target. The open competition and normal politics will lead to more strategies and dynamic changes. The changes of Yin and Yang forces in both camps will decide the final outcome. No walk-over, Many Independents and the RM 5-million question. This was the picture of the nomination day for the Malaysia’s 13th General Election on 20 April 2013. Except walk-over, Singapore’s GE in 2016 is unlikely to see many independents and the 5-million question. In Singapore, more political parties, big and small, will send their members to contest in GE2016. So, walk-over will also be a history in Singapore too. The Malaysian general elections only manage to have no walk-over for the first time this year, a history since 1950s. Again, Malaysian oppositions are ahead of us in first denying the ruling party two-thirds majority in 2008 and now walk-over. However, there are many independents, many small parties and many multi-corner contests, one as many as 7-concerned fight. Why? Has this got to do with the 5-million question? So, what is the 5-million question? [To curb defections that have been haunting the party post the 2008 general election, PKR has made it compulsory for all its candidates, at both parliamentary and state levels, to compensate the party with RM5 million should they jump to another once elected. Oh! there are political frogs that see the opportunity and financial gain of jumping ship. And the price to pay is 5 million ringgits. Is this the indicative price for buying over a Member of Parliament or state assembly representative? It is not bad for an investment of an election deposit of RM10000 (federal) or RM 5000 (state). If you play the cards well and the luck is with you, you may strike a big sweep. Who know even the deposit you may be able to find a sponsor as investor? The investment return is huge if the indicative price of RM 5 million is correct. Alternatively, the investment of RM 10000 or 5000 is small if you can deny the main opponents getting more votes. Is RM 5 million a big sum of money in Malaysia? Yes and no, depending on your background. For the award of running the country again, what is the problem of investing RM 50 or even 100 million to buy over 10 or 20 MPs if they are for sell? So, this 5-million question from PKR as deterrence may not look as effective as it is. When money can be used to make political gains, the situation becomes very complicated. It is better we come back to the fundamental: political commitment and conviction. Believe in what you are fighting for not because of the money. Otherwise, you have to do it the Singapore way: No more a party member, no more a MP. You participate in the election in the name of your political party. If you are no more a party member either sacked by the party or resigned from the party, you will lose your MP status. It is because you win the MP seat wearing your party colour. If you change your colour, you lose your seat. This is the basic reason for the 2 by-elections after GE2011. Should we thank the PAP for amending the rules and regulations to have such a wonderful effect and killing the 5-million question? It is not sure why the PAP wanted to do that when they were the monopoly in parliament. Is this to make the party’s secretary-general or CEC more powerful? In what way, can this ‘no jump ship’ law help the PAP continuing to be a dominant party? Perhaps, in the past it did help and prevent others for joining the oppositions or even (potentially) bankrupting a political party. Just imagine if there is a political party having troubles with the Registry of Societies like the case of Democratic Action Party in Malaysia, all their elected members will lose their MP seats if the party is forced to dissolve (if this happen in Singapore). If assuming the oppositions win the election in Malaysia by a small margin, a dissolved DAP will immediately make the BN come back to power again if they have the Singapore way. So, which is a better model? Singapore or Malaysia? It has to come back the fundamental of political commitment again. People who stand for election must know what they are doing and what they are fighting for. They must know the political beliefs and ideology that they are campaigning and championing. No matter big parties, small parties or even independents, ask yourself why you want to stand for election and for what purpose? The PAP wants to be a dominant party, having majority in the parliament. However, can they find enough committed individuals to carry out the political duties? Dynamic PAP or No Competitive Life Cycle?